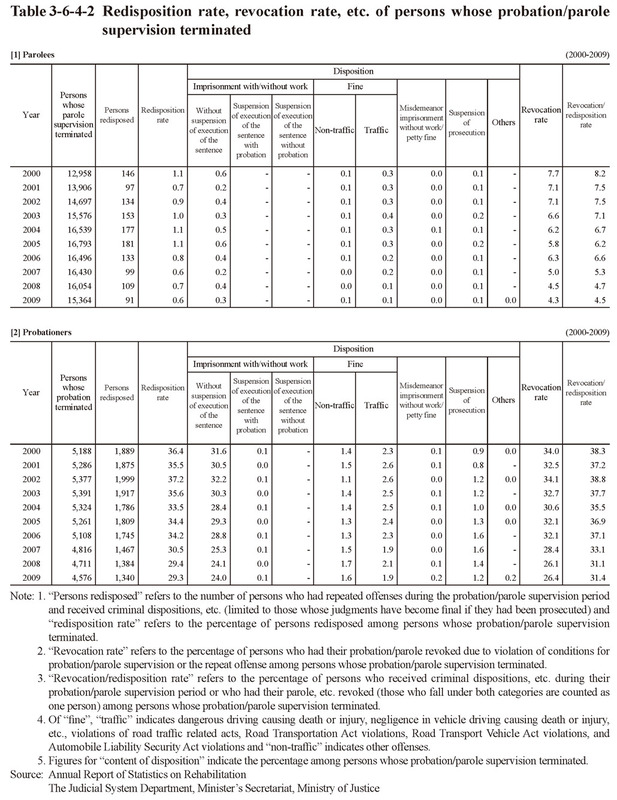 Table 3-6-4-2 shows, of probationers/parolees whose probation/parole supervision terminated in the period between 2000 and 2009, the percentage of those who received criminal dispositions, etc. due to repeat offenses during the supervision period (limited to those whose judgments have become final in case of being prosecuted) (redisposition rate), the percentage of those who had their probation/parole revoked due to violation of their conditions for supervision or repeat offenses (revocation rate), and the percentage of those falling under either one of these cases (those falling under both cases count as one person) (revocation/redisposition rate). In recent years the redisposition rate, the revocation rate, and the revocation/redisposition rate have all been on a declining trend with both probationers and parolees. 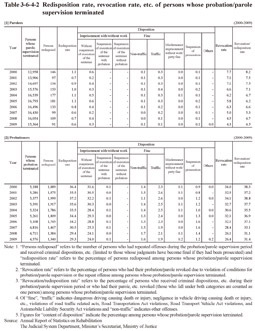 The redisposition rate of parolees, however, was extremely low. The primary reason for this is that although parolees who repeat offenses are subject to criminal trials in most cases, their judgments rarely become final before the end of their parole supervision period because of the period being short. 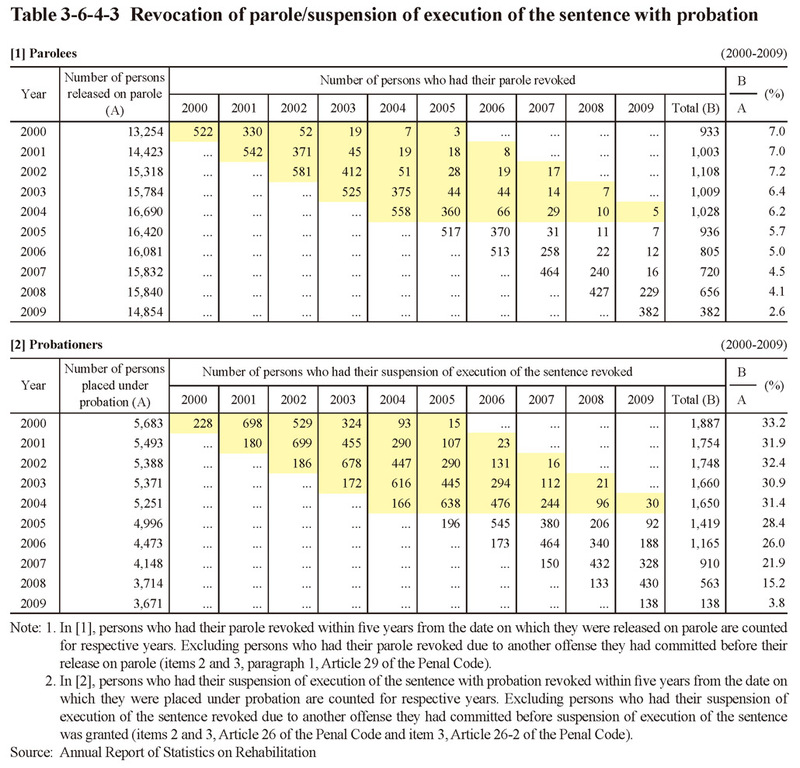 Table 3-6-4-3 shows the status of revocation of parole/suspension of execution of the sentence with probation of those who were newly placed under probation/parole supervision in the period between 2000 and 2009.